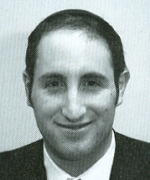 Rabbi Meir Soloveichik received his smichia from Rabbi Isaac Elchanan Theological Seminary and is member of the Beren Kollel Elyon at Yeshiva University. He currently serves as the Resident Scholar at The Jewish Center in Manhattan, and will, in August, take on the position of Assistant Rabbi at Kehillath Jeshurun in New York. He is an associate fellow of the Shalem Center in Jerusalem, for whom he is writing a book on Judaism and Christianity. Rabbi Soloveichik studied philosophy of religion at Yale Divinity School, and will next year be a doctoral student in religion at Princeton University.